Green building, low carbon emissions and solar power have all gotten a lot of press in the past couple of decades. What seems to be lagging behind is water conservation and rainwater collection. All are important for sustainability, but without water, it won’t matter. WE are naturally dependent on water; we cannot live without clean drinking water. Tap water is relatively cheap – pennies on the dollar. WE pay very little for it due to bulk purchasing from manufacturing and agriculture. We have clean, safe drinking water piped to our homes and all we need to do is turn on the tap without giving it much thought at all. What goes on behind the scenes is not a concern to most. Chlorine to disinfect along with fluoride for the health of our children’s teeth is all done by our water suppliers. All we have to do is pay our bill every month. That is changing however; our infrastructure is beginning to show signs of aging. Boil your water alerts are becoming more commonplace. 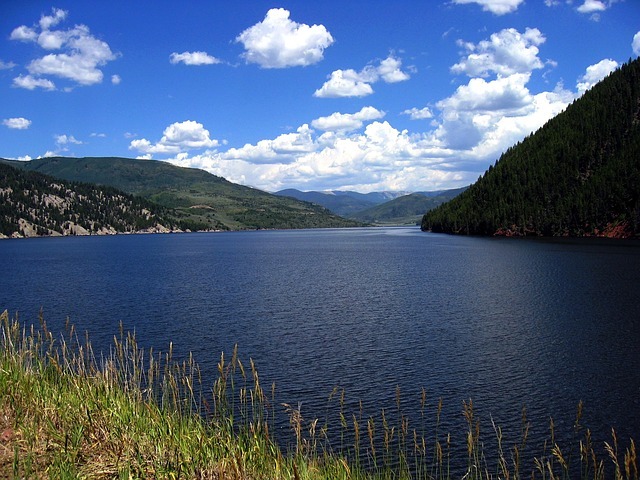 Pollutants are affecting our municipal water supplies more often. Shortages due to drought conditions have affected many of our western states – the most newsworthy being California, where Folsom Lake,Northern California reservoir has mysteriously run dry, leaving thousands of fish dead. (Is anyone minding the store in California?) Washington State is also experiencing the worst drought ever recorded. Small efforts are being made to get the word out by water suppliers. Voluntary water reduction has achieved a small percentage of actual impact since the drought is continuing into fall so far. Low snow pack is expected again this winter in the Cascades, both north and south. 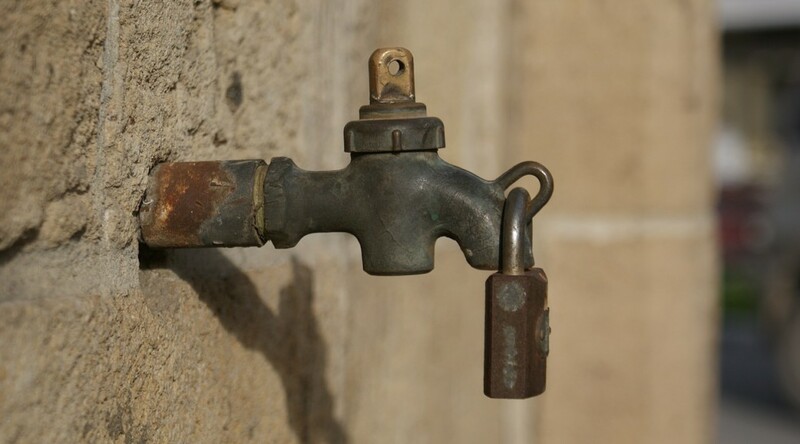 Efforts by water suppliers will be focused on education about conservation, but old habits are hard to break when water is so cheap. Homeowners and businesses can expect increases in prices, but that will have little effect on conservation. Breakdowns in infrastructure, accidental releases, and more contamination will become more common in the very near future. Private rainwater collection will have the most positive effect on water shortages in the near future. A simple system to irrigate landscaping will save hundreds of millions of gallons of municipal water next summer. Toilet, laundry facilities, and wash down using rainwater collection might make the difference in municipal supply shortfalls. A potable whole house system provides a legal, viable source that puts the owner as being his own purveyor of his or her water source. Rainwater is a clean, reliable water source than can be collected during those rainy periods and stored for dry months. 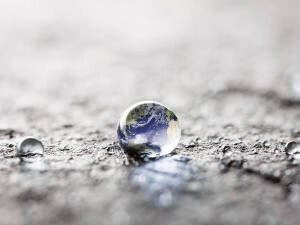 Progressive thinking on all sustainability efforts is good for the health of our planet, but water conservation and rainwater collection will be the most important. Water is vital to public health, maintaining our environment and preservation of quality of life. We simply can’t live without water. Our nation’s public water system infrastructure is in dire need of upgrading. Many systems are so old that the maintenance costs are beginning to overtake the cost of replacement. Furthermore, the article goes on to note that in spite of demand, more than $1 billion sits, unspent, in a funding pool managed by the largest federal aid program for drinking water improvements, the Drinking Water State Revolving Fund, (as reported after a review by The Associated Press). So, while funding is available for municipal and county water systems improvement, almost 20 percent of the money drawn from this grant pool is currently being used to pay for administrative costs, leaving less money available for the $1 trillion estimated that will be needed across the board – for just water infrastructure improvements, not inclusive of roads, bridges, energy, etc. There are many safe and sustainable options available to supplement public water systems with rainwater collection. While available in many areas, we need more education about the value and stability achieved by adding a rainwater collection system to a residence or commercial property. In some areas, a rainwater collection system could be sole-source for whole house usage, or a supplement to city water, easing the burden on public systems caused by population growth and aging infrastructure. Do you know that up to 60% of the human adult body is water? According to H.H. Mitchell, Journal of Biological Chemistry, the brain and heart are composed of 73% water, and lungs are about 83%. The skin contains 64% water while muscles and kidneys are 79%. Even bones are a watery 31%. One half of the world’s hospital beds are filled with people suffering from water borne disease. 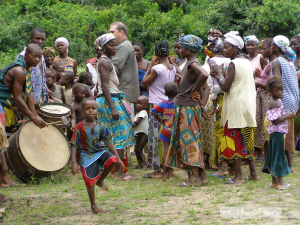 64% of households throughout the world rely on women to get the family’s water when there is no water source at home. Globally we use 70% of our water sources for irrigation and only 10% for domestic use. Water is a limited resource; it is not infinite. What each of us does in the world and how we live affects our water supply. We can make a difference. We can take steps globally to protect our water resources by simple conservation techniques. 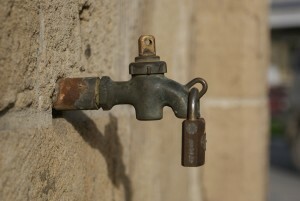 Education is the key to protecting the water supply in developing countries and industrial countries as well. Non-profit organizations such as Bank on Rain are spreading the word about rainwater collection and teaching conservation techniques to those who do not have a clean source of drinking water. 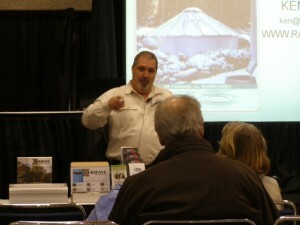 Ken Blair, AP, IS, presenting educational seminar about rainwater collection. Do you know that up to 60% of the human adult body is water? Ken Blair, president of RainBank Rainwater Systems is a lifetime member of ARCSA. The Mission of the American Rainwater Catchment Systems Association is to promote sustainable rainwater harvesting practices to help solve potable, non-potable, stormwater and energy challenges throughout the world. Ken has also achieved the status of Accredited Professional, Systems Inspector, and is ARCSA’s Northwest Regional Representative.